The Bone Selection mode is enabled by default. This option allows you to click on any bone in your character and move it without having to select the actual layer. Once you disable this option, you can not move any bone except the selected one. This allows you to grab and rotate the selected part from many angles and location. You can click completely outside the character and move the pieces. • Direct Chain Mode: this mode will allow the movement of parts up a simple secondary chain to a principle chain as long as translation movement is possible (the principle chain is attached to its own peg), but will ignore all secondary chains. A direct chain is a single chain which goes directly to the core. • All Chain Mode: this mode allows for the movement of all parts attached to all chains in the IK skeleton. All chains are attached and move simultaneously when one part is moved. The IK Manipulation mode is the main working mode for the Inverse Kinematics tool. Enable this mode when you want to animate and position your puppet. [Ctrl] + click (Windows) or [⌘] + click (Mac OS X) on a body part to select it. You do not need to select a part to be able to move it. The Apply IK Constraints mode is used to correct a part's position on a series of frames. For example, if the character's foot seems to be sinking into the floor, you can correct its position and angle over a series of frames using the IK Constrains mode. 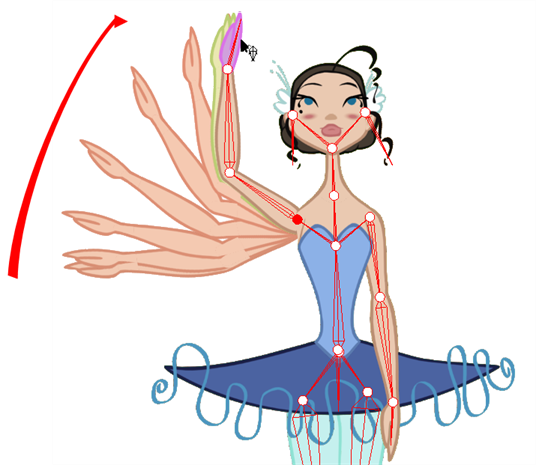 The Edit Min/Max Angle mode is used to set a rotation restriction on some of your parts, such as elbows, knees and ankles. The Bone Editing mode is used to fix the bone orientation on extremities such as hands and feet. The IK keyframe option is used in combination with the IK Constraints mode. It determines the starting frame of the constraint you will apply. 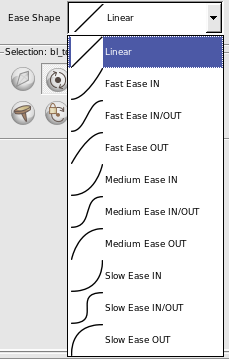 While you animate with the IK tool, prior to doing a movement you can set an easing preset so that your motion is not so mechanical. Before moving your part, select a preset from the list in the drop-down menu. If you select a new preset in the list and move the part again on the same keyframe, the easing will be automatically updated. This option is mainly used on master pegs. You will need to use the Enable Translation If Top of Hierarchy option when you have a situation such as this; if you want your character to do a perfect split (sitting down with the legs at right angles to the body or at the sides with the trunk facing forwards), then the hip will need to translate and not just rotate on the spot. And since IK is all about rotation, you would select the hip layer and enable the translation option. The Enable Rotation option is enabled by default. If you disable this option, the selected part will not be able to rotate anymore and will remain in the same position all the time. 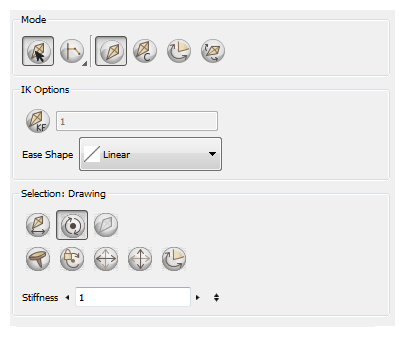 You can use this option to simulate an arm in a plaster cast. When you enable this option, the pivot will disappear but you will still see the bone. You can use the Exclude From IK option when you want certain parts of your puppet such as the eyes and mouth to be excluded from the IK influence. IK nails are used to temporarily fix a part of a character to a spot either in translation or rotation, or to enable maximum and minimum angle usage. When a certain part is selected, you can apply a stiffness value to it. 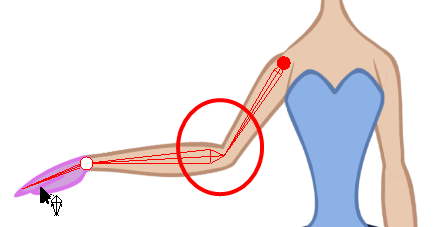 A different stiffness value can be set to each body part individually. The greater the Stiffness value applied, the more difficult it is to make that part rotate, thereby rendering it stiff while the other parts continue to move freely on their joints.